Welcome to our Festive Home Page for 2013. 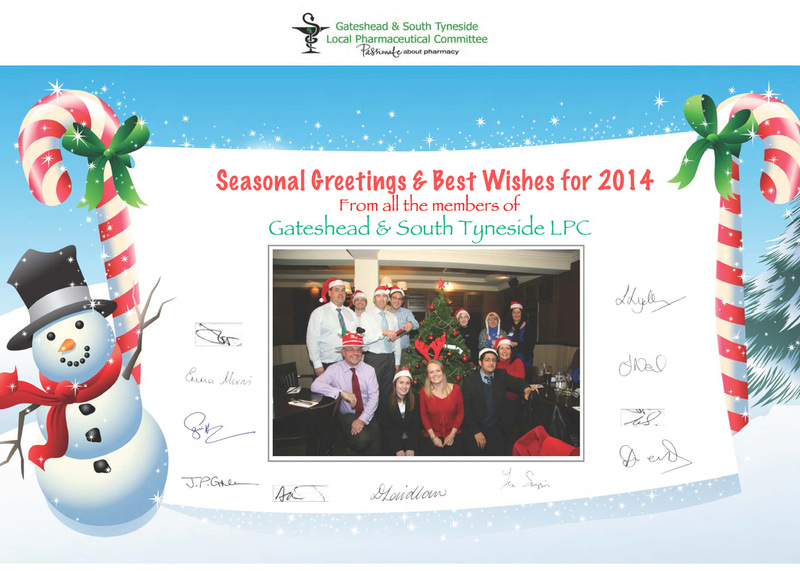 Our festive home page is our replacement of the traditional Christmas edition of the LPC News. Historically we have always made the last LPC News of the year slightly off beat with more unusual content to give you some amusement through the busiest time of year. Being online we have been able to include an interactive crossword as well as some multimedia. We hope you enjoy our new format. The comms teams and I would like to wish you a very Merry Christmas and all the best for the new year. It gives me great pleasure to welcome you to the Christmas page on our LPC website. You can find some amusing Christmassy stories, blogs and even a quiz - with a prize - dotted around this page to keep you entertained while you're having a coffee and eating a mince pie! 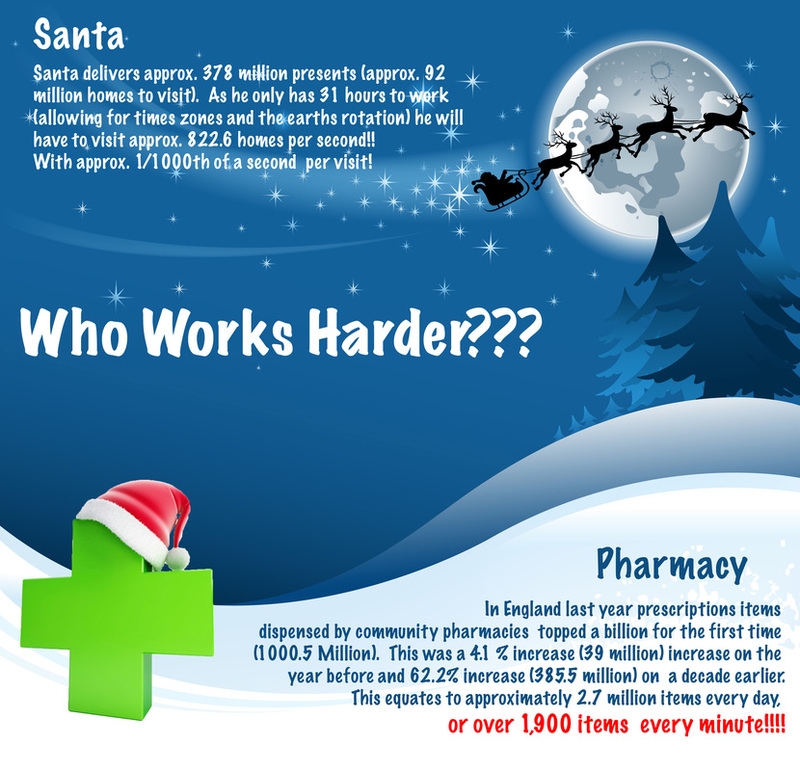 I'd like to wish all pharmacists and supporting staff working in contractors pharmacies in these challenging times - the unsung heroes of the NHS; providing so much care to patients - a very merry Christmas and a happy and prosperous New Year. If you can not see the above video click here. Did you know that you can keep an eye on Santa as he does his work. The NORAD organisation and it's predecessor organisations have been tracking Santa for over 50 years. These days they use modern technology such as the Radar, Satellites, Santa Cam's, Fighter Jets and to monitor and follow Santa's Journey around the world. Whilst they can't tell you exactly when Santa will visit you (Only Santa knows his route!) you can countdown to Christmas at their site and then then follow Santa from Christmas Eve as he travels round the world. Click HERE to access the NORAD HQ Website. This year's prize – your own copy of 'Pills, Thrills and Methadone Spills' books 1 & 2 by Mr Dispenser will be awarded to the first correct solution pulled out of the hat. This has generously been donated by the author himself. You can enter your letters directly into the interactive crossword below and submit your solutions by clicking the submit button or alternatively click the "PDF" button in the bottom right to download a paper version which can be sent back to Kathryn Featherstone . copy it is also available to buy at Amazon. The author donates some of the proceeds from the sale of these books to Pharmacist Support. - a very worthwhile charity which we would encourage you to support. Ginger is an aromatic spice associated with Christmas Time. Although, historically, it has been used as a hot fragrant spice, or flavouring, it has also been used for its therapeutic properties for over 5000 years. So what are these therapeutic properties? Well, traditionally as a medicine, it has been used as a remedy for dyspepsia, nausea (particularly seasickness and morning sickness), colic and as a carminative - although its side effects can include bloating and heartburn. Anecdotal evidence seems to exist for the use of ginger in blood thinning and cholesterol lowering. Sometimes, the ginger is brewed up as a tea, for the treatment of colds or formulated as a beer (or ale) to settle the stomach. In India the ginger is sometimes applied as a paste to the head in an attempt to relieve headache; or rubbed onto the skin as a rubefacient. It has also been used to disguise tastes in medicines, and seems to have an effect of encouraging saliva production to make swallowing easier. All in all, a really useful pharmaceutical herb - and a very pleasant spice in sweet and savoury treats at this time of year! 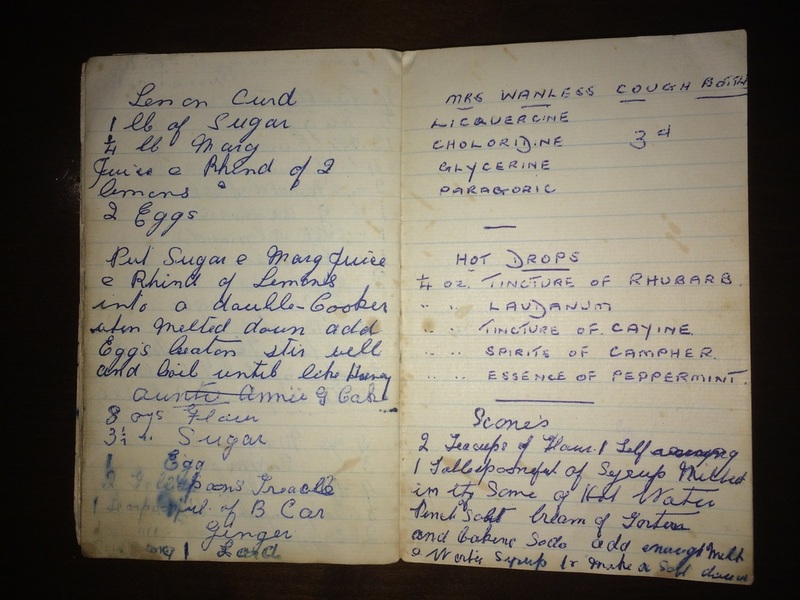 A local contractor inherited this recipe book from her great aunt and uses the recipe in it to make Ginger Wine; for those of you who can't remember back to drachms and minims please look next to the photos for the recipe in modern measures! Cinnamon is a spice most commonly associated with "Christmas Time"...it's included in many of the foods and drinks we consume over the festive period including mincemeat! 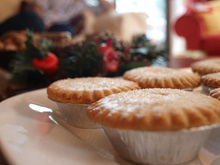 I was eating a sweet mince pie the other day (I love them...especially warmed with brandy butter or cream!) 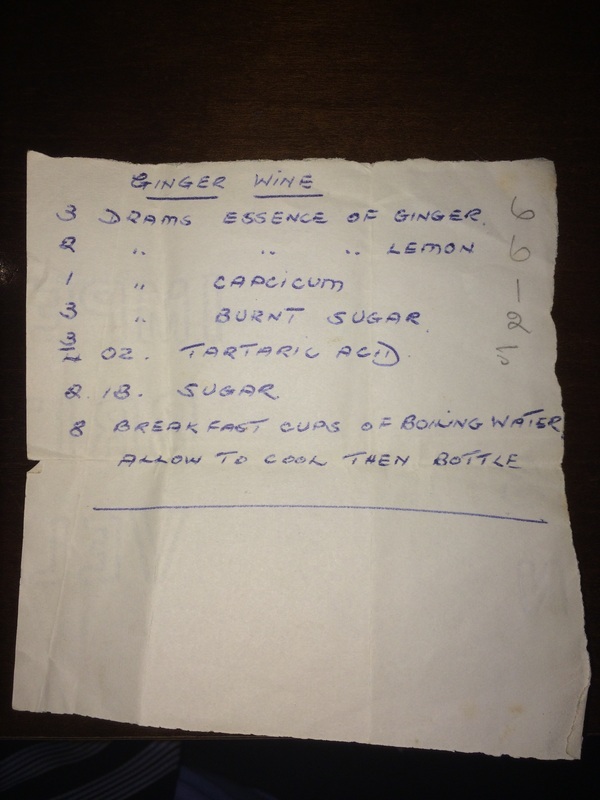 and it got me thinking about the mincemeat....as it contains a multitude of spices such as cinnamon. Cinnamon is used in cooking for both sweet and savoury foods, and is obtained from the inner bark of trees from the genus Cinnamomum. It has been known since ancient times and historical records seem to suggest It was imported from ancient Egypt from around 2000 BC. Nowadays it is obtained mostly from Sri Lanka, Seychelles and Madagascar. 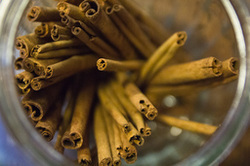 It is often confused with cassia - in fact most "cinnamon" used in cuisine is derived from related species, which are also referred to as "cassia" to distinguish them from "true cinnamon" Cinnamomum verum. Medically, cinnamon is associated with antispasmodic and carminative properties, in addition to some "apparent" antidiarrhoeal action. Cinnamon is also said to have antimicrobial, antiseptic and astringent actions - and as such is used for colic, dsypepsia and nausea - although these actions are not well researched or proven.Whatever the medical benefits, it sure is nice to eat! The Holly and the Ivy is a traditional Christmas Carol and both plants are used as decoration at this time of year. Holly and Ivy are both of pharmaceutical interest as well. Holly (Ilex aquifolium) has wonderful red berries but these are poisonous (so keep them away from children! ), however, the leaves and roots contain theobromine, ursolic acid, ilexic acid, tannins and rutin. In modern times, preparations of holly leaf have been used in herbal medicine for coughs, digestive disorders, water retention, and jaundice. Ilex aquifolium leaves are used for treating fevers that come and go, joint pain (rheumatism), swelling, water retention, and chest congestion. Ilex opaca (American holly) leaves are used to empty and cleanse the bowels, stimulate the heart, and increase urine flow. Other holly species are used for treating heart disease, dizziness, and high blood pressure. Side effects include diarrhoea, nausea, vomiting, and stomach and intestinal problems. Swallowing holly leaf spines may tear or puncture the inside of the mouth and other parts of the digestive tract. Ivy (Hedera helix) is widely cultivated as an ornamental plant; Like most of the other Christmas flowers, ivy leaves symbolize eternity and resurrection. The ivy leaf has been associated with the Egyptian God, Osiris, and the Greco-Roman god, Attis; both of whom were resurrected from the dead. In the past, the leaves and berries were taken orally as an expectorant to treat cough and bronchitis. In 1597, the British herbalist John Gerard recommended water infused with ivy leaves as a wash for sore or watering eyes. The leaves can cause severe contact dermatitis in some people and those who have this sensitivity are also likely to react to carrots and other members of the Apiaceae as they contain the same allergen, falcarinol. 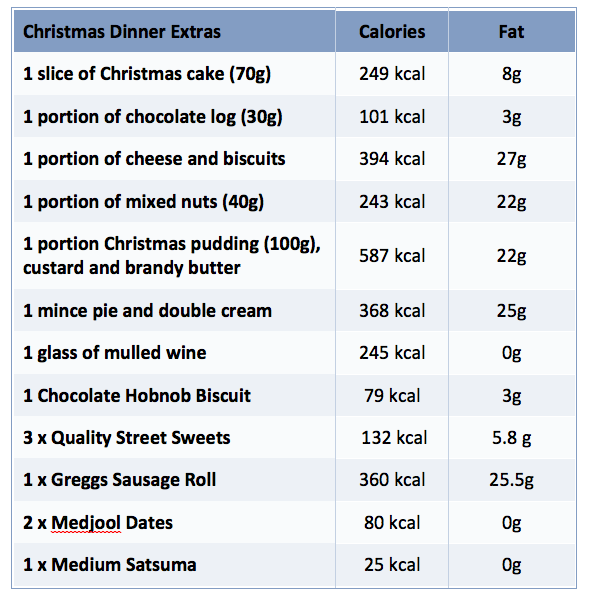 On average we will eat our way through up to 6,000 calories on Christmas Day alone which, according to the British Dietetic Association, is probably due to overindulging on second helpings, snacks and alcohol and the average weight increase is 5lbs (2kg) per person over the Christmas period. The Christmas meal is not the main culprit - in fact, the traditional turkey roast can be very good for us, as it is a low fat meat. The problem is that over Christmas we can eat roughly three to four times more food than we actually need. So we end up weighing a lot more than we did come January. It also means we are storing up problems for the future, as all the extra calories have to go somewhere and those extra pounds can lead on to developing Type 2 Diabetes. So eat and drink in moderation and the New Year resolutions to lose weight won't hit so hard! !